A Rush of Love: Win 1 night stay for two people at a Travelodge of your choice. Win 1 night stay for two people at a Travelodge of your choice. Something that Nath and I enjoy is spending the odd night away together at least a couple of times a year. It allows us to spend some quality time together and we get to enjoy a nice toddler-free meal and a well deserved lie in. Manchester is one of my favourite cities. They have amazing shopping (a huge Zara!) and gorgeous restaurants. A few months ago Nath and I ate at Australasia which was lovely and had some drinks at Cloud 23 which is the bar situated at the top of The Hilton overlooking Manchester. So impressive! Manchester has a huge selection of Travelodges to choose from. Big cities also have the most amazing Christmas markets around this time of year and are perfect for a spot of Christmas shopping. Today I am giving away one night stay for two people in a UK Travelodge of your choice. Perfect for parents wanting to get in some early Christmas shopping or for a little new year break. 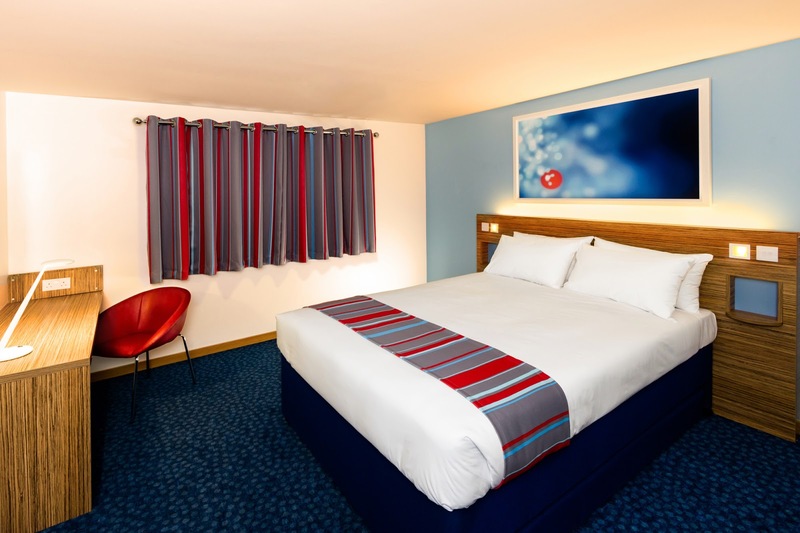 Travelodge are currently refurbishing 500 hotels over the country so if it's a whistle stop city tour you're after or a relaxing seaside break, Travelodge can provide you with a bed for the night. Please read the Terms & Conditions of this giveaway.